Racial discrimination has not been banished to history. It has been held in the arms of societies and even today unfortunately we are seeing the ugly face of racial discrimination in public discourse always. Racial and ethnic discrimination occur each day, all around us. We give it little thought, as we believe it rarely affects metropolitan life-styles, but in rural areas it matters a lot. The truth is that this hideous feeling towards others inspires hatred within us and is hindering progress of millions of people around the world. Racism and intolerance can take various forms – from denying individuals the basic rights of living life with dignity to pumping hatred towards people who otherwise are completely harmless. In fact these people may be such who are struggling to live a decent life with the meagre resources they have, and try to make the best out of it. The struggle against racism is a matter of priority, not just within communities, districts, states or countries but at the international global community level. 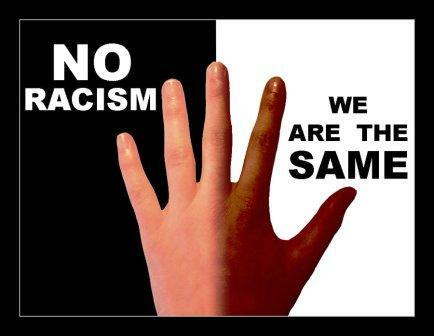 To fight against racial discrimination and encourage people to combat racial discrimination UN observed 21st March as International Day for the Elimination of Racial Discrimination. The day aims to remind people the negative consequences of racial discrimination. Variety of activities and events are organized while celebrating this event at the international level in many countries all over the world. A direct webcast is carried out from the UN headquarters on the day of celebration identifying all the special activities against racism by the UN leaders. This event celebration provides opportunity to the young people aiming to put their own opinions to fight for racism as well as promote tolerance. A long debate among the young people on the related subjects takes place to discuss the human rights and the elimination of racial discrimination. Other activities are also organized such as essays writing, photo exhibitions, publishing related articles to promote and aware people to fight against the racial discrimination. The theme of this year is “United against Racism; Dignity and Justice for All”.